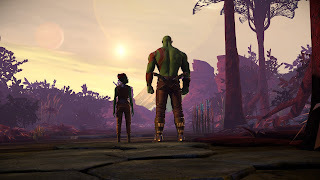 Home » Guardians of the Galaxy: The Telltale Series » PC » pcreviews » Guardians of the Galaxy Telltales Series Review - A Space Oddity? Guardians of the Galaxy Telltales Series Review - A Space Oddity? To many of us, the Guardians of the Galaxy were unheard of until James Gunn released his incredibly well received feature film back in 2014. 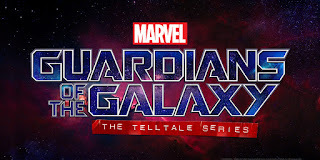 Now, I can't speak for everyone, but this film brought me back into the fandom of Marvel, so can the same be said for all five episodes of Telltales' latest creation or have they set themselves up for a fall on a galactic scale? If you haven't already read my review for Episode 1, be sure to check that out here, otherwise prepare yourselves as I jump straight in. My review for episode 1 was a taste for what was to come, but if you're anything like me, you generally wait for the whole series to release before making a purchase. I mean, would you rather wait for the series to release in full, checking out reviews to ensure it's a great title from start to finish across all episodes, or are you more of a risk taker and happy to give things a go after only one or two episodes have released? There's no correct answer here. It all just comes down to personal preference, which is something the Telltale series are renowned for taking advantage of. 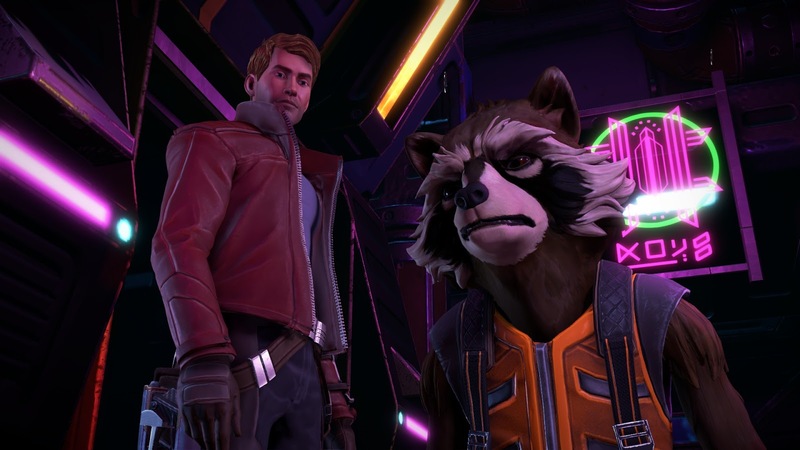 As you'd expect, Guardians of the Galaxy: The Telltale Series is a game based around choice. One decision could drastically change the story, while another might only make a subtle difference. Having played through the story only once myself, it's hard to know exactly how much the story would change, but based on the alternatives to my own decisions, I can honestly say there's a lot more content hidden outside of my choices. The plot tries its best to emphasise the fact your actions need deciding as a matter of urgency. The Universe is at stake after all. 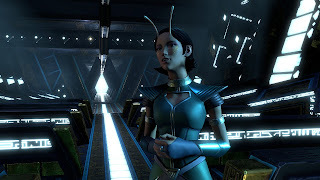 Sometimes though, you wish to deviate from the main plot, placing the potential peril of others on the back-burner while focusing your attention on your crew members, building better relations and helping them out with more personal matters. In many ways, this is a game of balance. You likely won't be able to help everyone, so you'll be faced with the sometimes harsh task of prioritising the safety of everyone over that of a few. Every character has their own set of strong and not so strong views, which you'll want to consider. 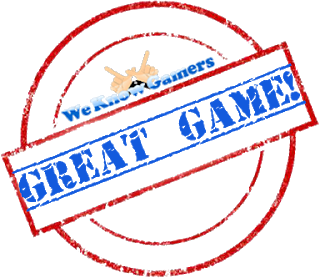 Opting to help your fellow crew members out can lead to insightful and often endearing side quests that could quite easily be missed. This gives players reason to go back to the beginning, setting out on a new path to experience all of the other options you may have missed. Though satisfied with my own decision making and outcome, there's enough replay-ability there to keep the completionists amongst you busy. The general look of the series is impressive for sure, with character likenesses being somewhat of a blend between the comic book characters and their on-screen counterparts. The graphics aren't as amazing as say Horizon: Zero Dawn or Wolfenstein 2: The New Colossus, but they are very pleasing to the eyes for a Telltales title. The facial animations can at times be a little out of sync, but I never found it jarring enough to ruin my experience. Additionally, the handful of songs chosen for the series are all great and do well in complimenting the key moments of the plot. Each episode title is a nod or reference to some of the greatest songs around, with episode 2 being titled "Under Pressure", serving as both a reference to Queens song of the same name, and a foreshadowing of what's to come. My favourite track of Starlords mixtape is Sparks - This Town Ain't Big Enough for Both of Us. It's a track I've not heard in years, but plays at one of the key action sequences, making for a highly entertaining and enjoyable prolonged quick-time event. 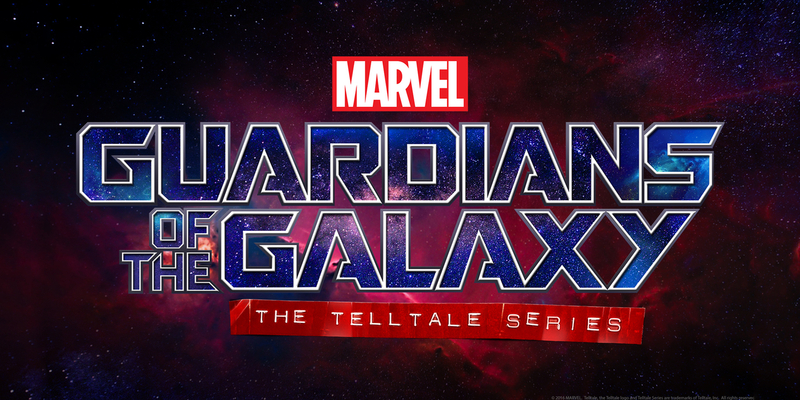 Overall, Guardians of the Galaxy: The Telltale Series is a fantastic title. Each episode has its pros and cons, but when you finally reach the end, you'll be left craving more. Each episode lasts for around 2-3 hours, so you're looking at an overall playtime of roughly 12.5 hours, but with reason to go back and see the outcome of every other choice possible, your play time will mount up considerably. I guess I'm a bit of a mystery, because for somebody who reads Manga and watches Animé, I've never really taken an interest in comic books, aside from the odd issue/series of Todd McFarlane's Spawn here and there. I lean more toward the darker side of entertainment, and though this series has a sprinkling of that, it's more of a joyride filled with quirky humour, sarcastic remarks and neon backdrops. The difference in Starlords appearance may be a little disconcerting at first, but you'll find yourself falling in love with the casts appearance in little to no time at all. 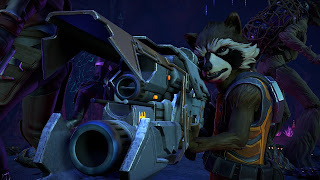 Rocket is almost identical to his MARVEL Cinematic Universe self and even sounds practically the same, but overall the aesthetics really aren't all that different to what you'd expect and I can honestly say Telltales have outdone themselves here, creating one of the most thrilling and charming adventures to date. Now all we need is a season 2! Agree with this article? Got something to say? Let us know in the comments below or hit me up on twitter @CaptainCortez.